Are you ready for some pumpkin amazingness? I hope so. 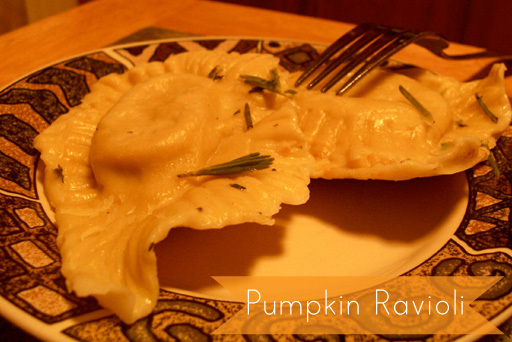 I recently found a recipe for pumpkin ravioli, via Eat Yourself Skinny. And seeing how I LOVE pumpkin, I just had to try it. Alright, ready? Here we go! 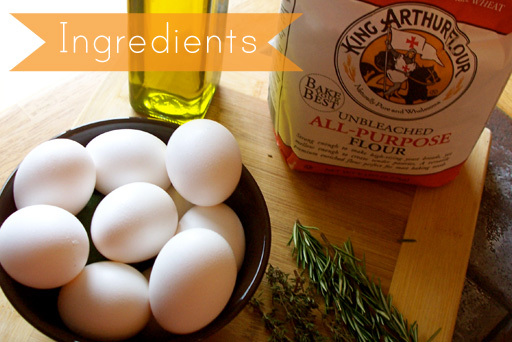 Combine the eggs, olive oil and salt in a small bowl. In a large bowl place the flour, then add your egg mixture. Use a fork to combine mixture with flour until it forms a sticky ball. Note: I actually had to add a little bit of water to my mixture, as it was too dry to form a ball. I added roughly 2 tablespoons of water, but if this happens to you, just slowly add water until it starts to form said ball (you don’t want to add too much water, just enough to make it stick). 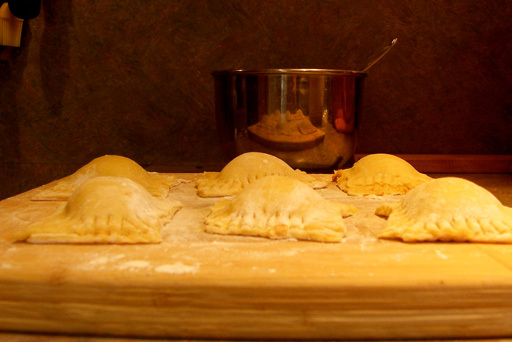 Once ball is formed, flour your hands a little bit and divide dough into 3 sections. Knead each ball a little, then put in separate bowls, cover with plastic wrap and refrigerate for a couple of hours. You will want to make sure that your dough has enough time to chill as it is much easier to work with it chilled, than warm. In the meantime, make the pumpkin mixture. Put the pumpkin, ricotta cheese, nutmeg, cinnamon and salt and pepper in a bowl and mix well. Refrigerate until ready to use. 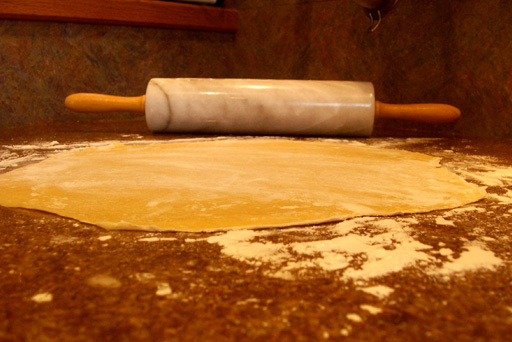 Once the dough has chilled, roll it out on a floured surface. 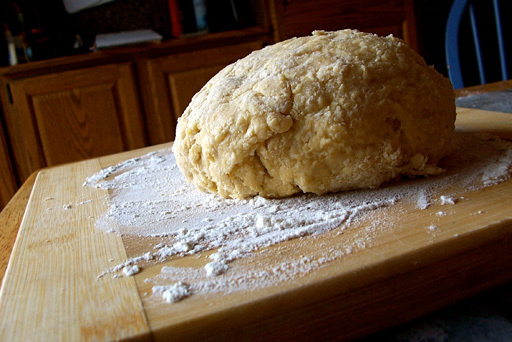 Try to get the dough as thin as possible, without it tearing. I definitely could have rolled mine out thinner, as the raviolis themselves ended up being a bit thick in the end, so the thinner the better! 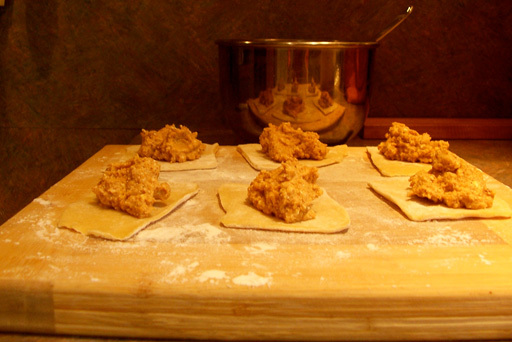 After it s rolled out, cut the dough into small squares. I found that 2x2 inch squares worked fairly well. Place a dollop (approx. 1.5 teaspoons worth, but will vary on your square size) of the pumpkin mixture in the center of a square then place another square on top. Take a fork and press the edges together. 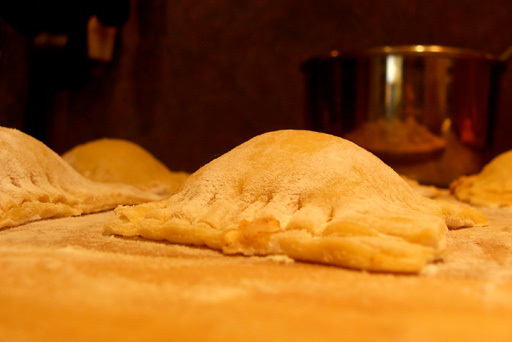 Be careful to not puncture the dough, but also make sure all the edges are sealed completely (otherwise water will get inside your ravioli, and it will probably explode when it is boiled). 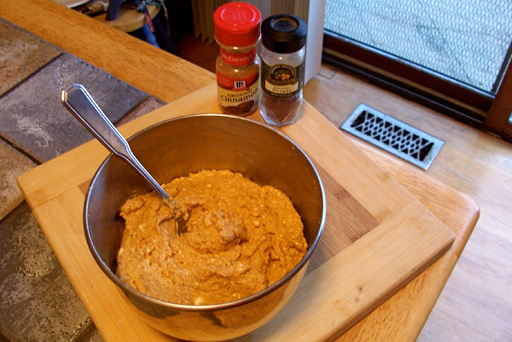 Continue this until all your pumpkin mixture (or dough) has been used. Boil well salted water. 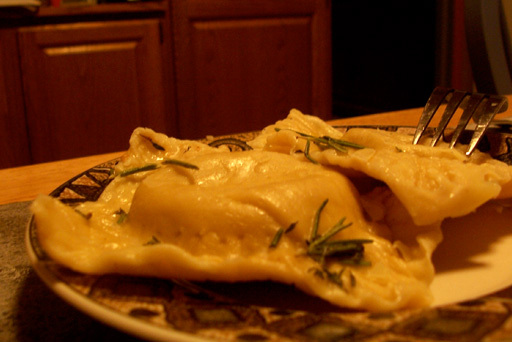 Once water is boiling, carefully drop in the raviolis. I found that doing a couple at a time worked best. They will probably stick to the bottom; so after they have been in for about a minute use a spoon to nudge them off the bottom. Allow them to stay in the water until they float (about 3-4 minutes). Carefully scoop them out and place them in a colander to rid of excess water. Melt the butter. Just before it starts to brown, add the rosemary and thyme and allow it to brown slightly. Pour over the raviolis. Step back and admire your work, then dig in! Try not to eat the whole plate, as you will want to, but enjoy! This is seriously an amazing recipe, and won over even my dad, who was not at all excited that I was making this (it sounded really weird to him) but in the end decided this was a fall recipe to remember, and I couldn’t agree more! 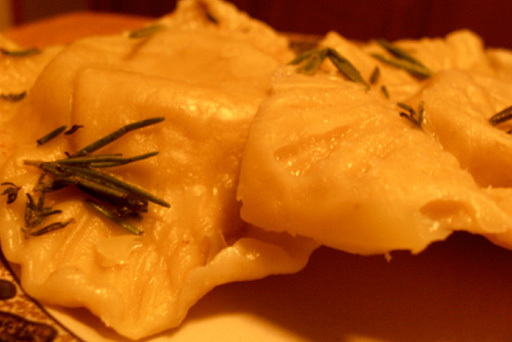 I am super impressed that you made ravioli from scratch! Yeah, dunno if i will go that route again, but at least i can say i did it!